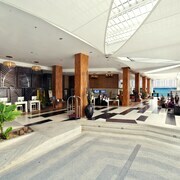 Nestled on the beach, this Kamala resort is within 3 mi (5 km) of Patong Beach and Phuket Fantasea. 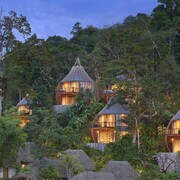 Situated by the sea, this luxury resort is within a 15-minute walk of Kamala Beach and Tsunami Memorial. 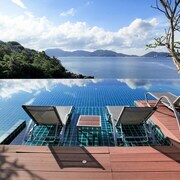 Phuket Fantasea is 1.7 mi (2.7 km) away. 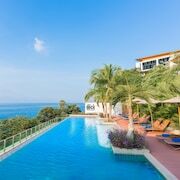 Situated by the ocean, this luxury hotel is within 3 miles (5 km) of Kalim Beach, Patong Beach and Kamala Beach. Tsunami Memorial is 2.6 mi (4.2 km) away. Couples looking to get away will find a romantic atmosphere in Kamala, and visitors give high marks for the beaches. Relaxing and cultural, this city also attracts tourists with its seafood. 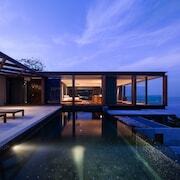 Patong Beach, Phuket Fantasea and Bangla Road are some of the top sights around the area.